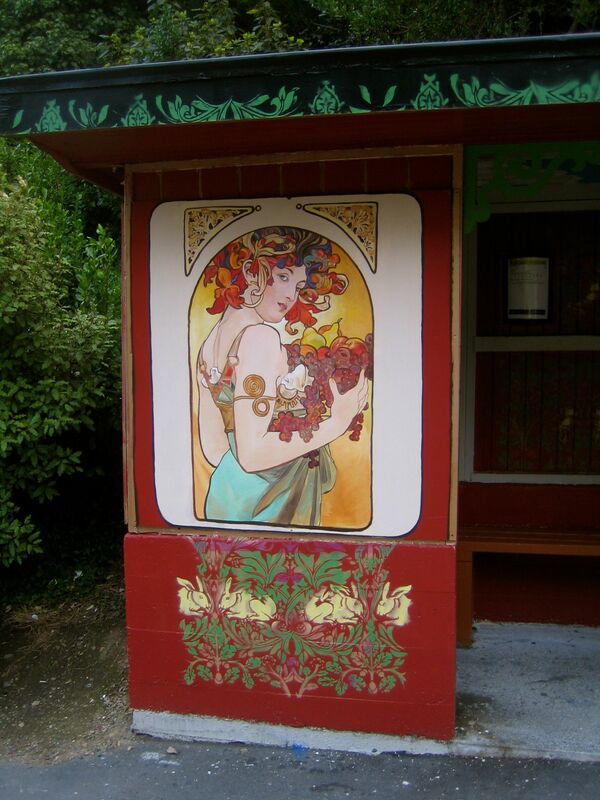 Look what I saw last time I was in Wellington – an art nouveau bus stop. 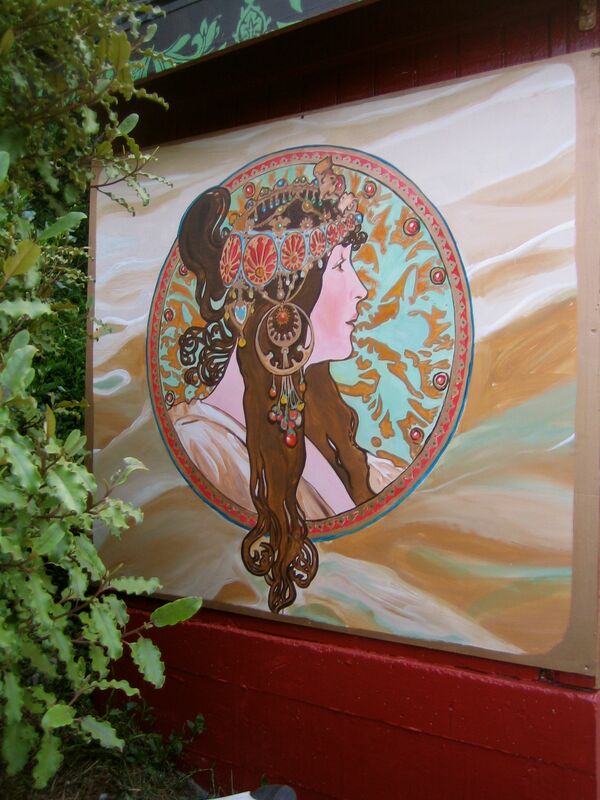 Imagine if all municipal structures were so beautiful. 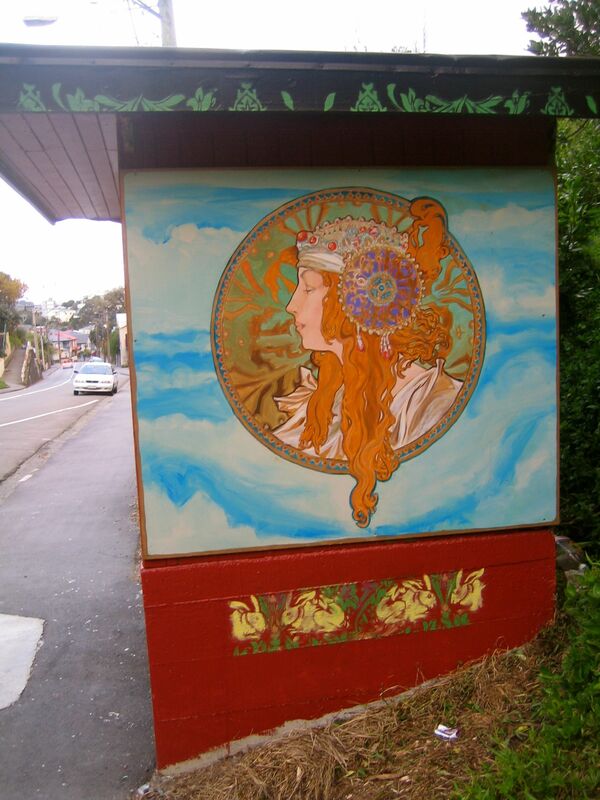 They’ve been painting all the bus stops in Aro Street, but that one is definitely my favourite. It’s so beautiful and rich.